Based in Cape Town, PRAESA (Project for the Study of Alternative Education in South Africa) is an organisation that has worked to promote reading and literature for children and young people in South Africa since 1992. With the joy of reading as its compass point, PRAESA opens new routes into the world of books and literature for young readers in South Africa. Through innovative reading and storytelling projects, PRAESA brings people together and brings literature in multiple languages alive. PRAESA’s outstanding work shows the world the crucial role of books and stories in creating rich, full lives for our children and young people. For more than twenty years, PRAESA has made powerful, innovative moves to highlight literature as a key component of both personal and societal development, always grounded in the specific conditions of South African society and culture. Its work focuses on encouraging children to read for enjoyment, building their self-esteem, and helping them connect to their native language through reading and story. PRAESA has three core goals: to provide children with high-quality literature in the various South African languages; to collaborate with and foster new networks among publishers and organisations that promote reading; and to initiate and carry out activities that can help sustain a living culture of reading and storytelling in socially vulnerable communities. PRAESA works in constant dialogue with the latest research and in collaboration with volunteers at the grass roots level. To encourage children to read in their native languages, PRAESA produced the Little Hands books, a series of short books in different African languages. Another project, the Vulindlela Reading Club, combined oral storytelling with reading, singing games, and dramatizations, and led to the formation of many more reading clubs in Cape Town and other provinces. The national reading promotion initiative Nal’ibali is a network of reading clubs that uses media campaigns to encourage children to read and inspire parents, grandparents, and teachers to read with them. In 2014, PRAESA received the Asahi Reading Promotion Award, a prize instituted by the International Board on Books for Young People, IBBY. 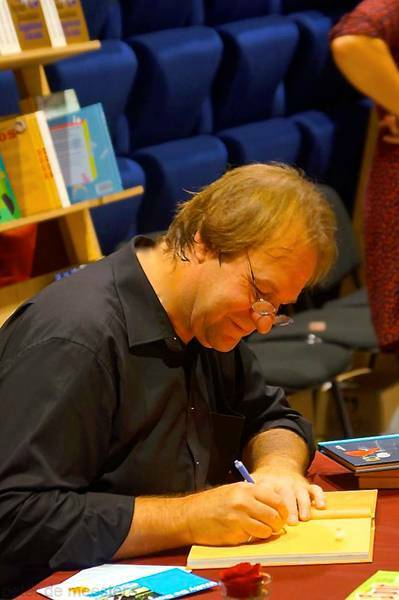 PRAESA will accept the Astrid Lindgren Memorial Award at the Stockholm Concert Hall on June 1, 2015. 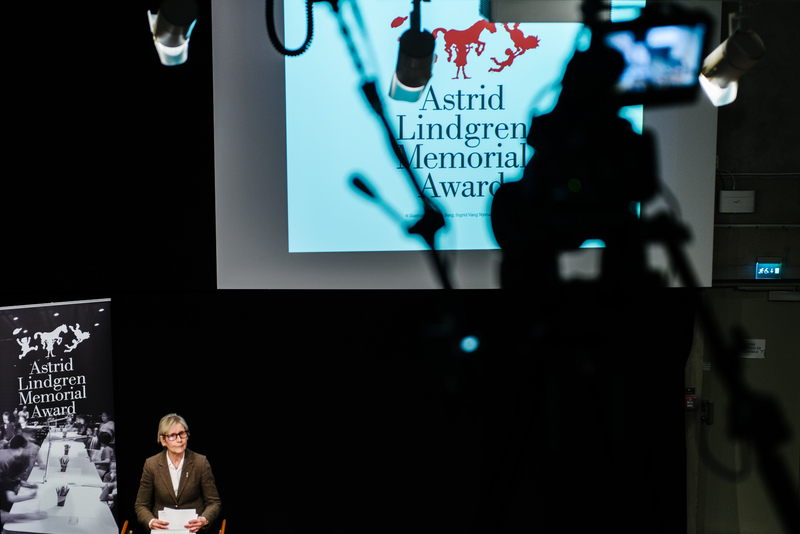 The Astrid Lindgren Memorial Award (ALMA) is the world’s largest award for children’s and young adult literature. The award, which amounts to SEK 5 million, is given annually to a single laureate or to several. Authors, illustrators, oral storytellers and reading promoters are eligible. The award is designed to promote interest in children’s and young adult literature. The UN convention of rights of the child is the foundation of our work. An expert jury selects the laureate(s) from candidates nominated by institutions and organisations all over the world. The Astrid Lindgren Memorial Award was founded by the Swedish government in 2002 and is administrated by the Swedish Arts Council. 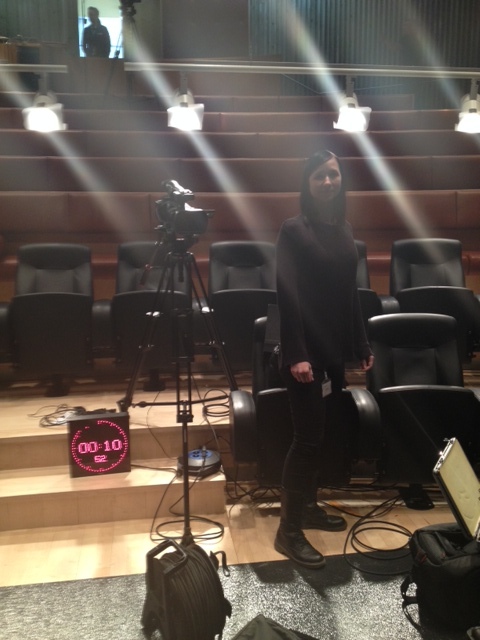 Soundcheck and rehearsals at the National Library of Sweden before the big day tomorrow! Lisa Haglund, the Award office. 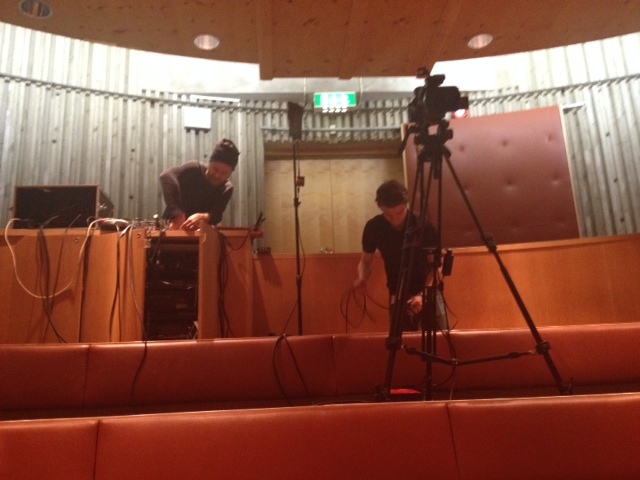 Sound technician Calle Nordstrand and producer Niklas Lind. 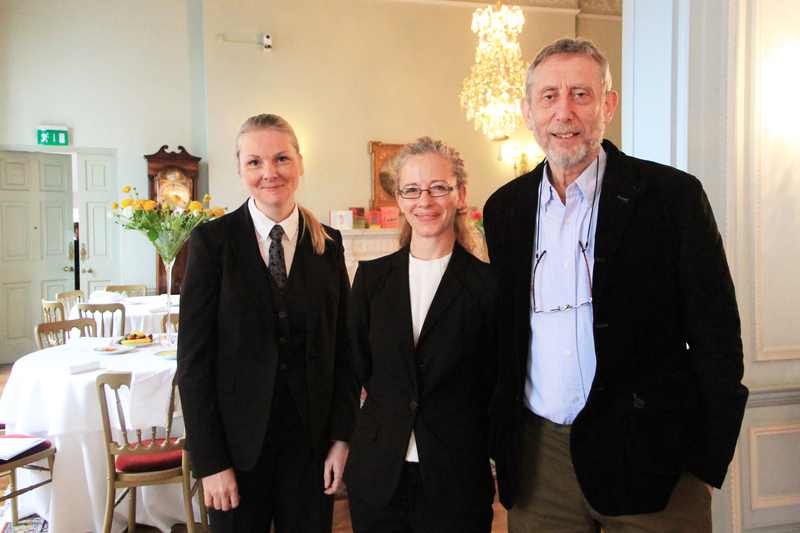 Nicola Clase, Fen Coles and Michael Rosen. 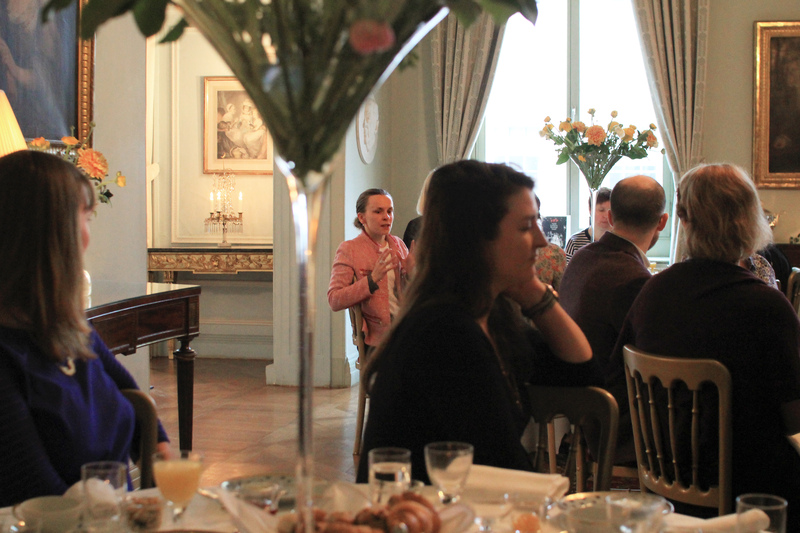 Earlier today the Embassy in London hosted a breakfast to discuss trends in children’s literature and how to promote reading among children and youth. 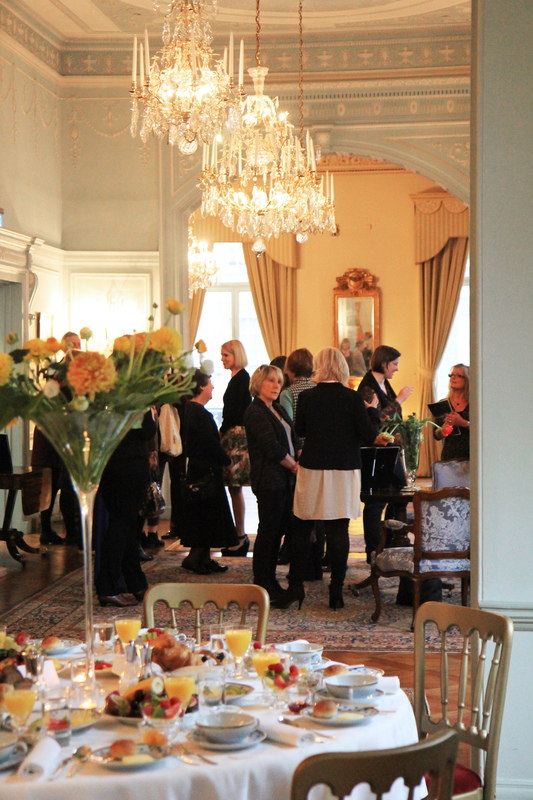 The breakfast was organized ahead of the announcement of the Astrid Lindgren Memorial Award next week, and one of the topics for discussion was the role of prizes and awards in raising the profile of children’s literature and reading. 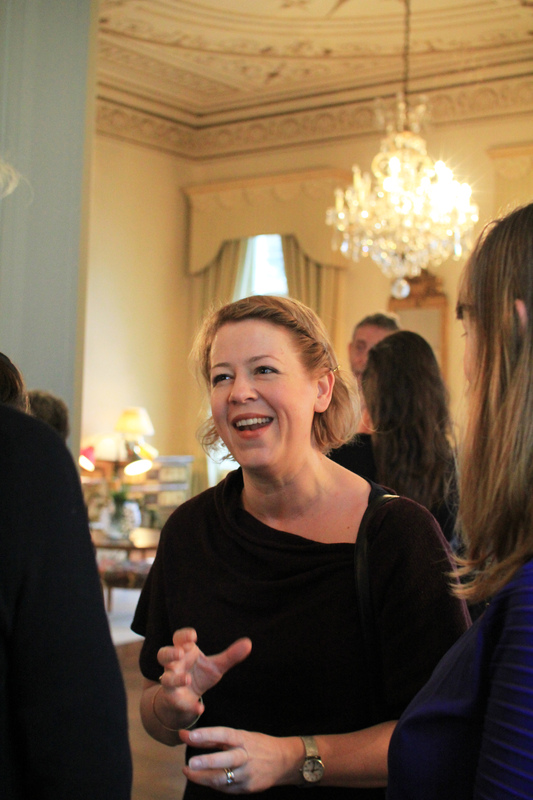 Among the 40 guests were two of the British nominated candidates – Professor Michael Rosen and Fen Coles of Letterbox Library – along with several nominating bodies as well as authors, reading promotion organizations and publishers. Ambassador Nicola Clase kicked off the morning by stressing the importance of reading – how it develops cognitive skills and emotional intelligence; encourages creativity and expands the imagination. She then handed over to Charlotte Eyre of The Bookseller, to start the discussion. Charlotte described the process of developing the YA Book Prize, a new prize for UK and Irish books for young adults, of which she is jury chair. The prize has been developed in close dialogue, through social media, with youths, which has created a unique involvement and ownership of the prize from its intended audience. But beyond prizes, what else can be done to increase reading among young people? What followed was a spirited debate, covering topics such as gender differences when it comes to reading ability and attitudes towards reading, the role of education as well as libraries, and the pivotal role of role models. Pam Dix, chair of IBBY UK, seconded the importance of literary prizes, not least because children love to talk to each other about things they do, read or hear about. An award can start that conversation, and thus be an inspiration. In the same vein it was also said that there only needs to be one reader in a class – this one person can inspire everyone else. One of the final remarks came from Steve Gardam, the recently appointed director of The Roald Dahl Museum and Story Centre. He underlined the importance of accentuating the positives of reading – that any reading, be it comics or the sports pages, can be a gateway to more reading. The various perspectives that came to light contributed to a multifaceted and thoughtful discussion. A belief that most guests seemed to have in common was how important the feeling of pure enjoyment is as a driving force when it comes to children and young adults reading more. Ruth Oakley from Southbank Centre. Emma Lowe from the Bookseller. 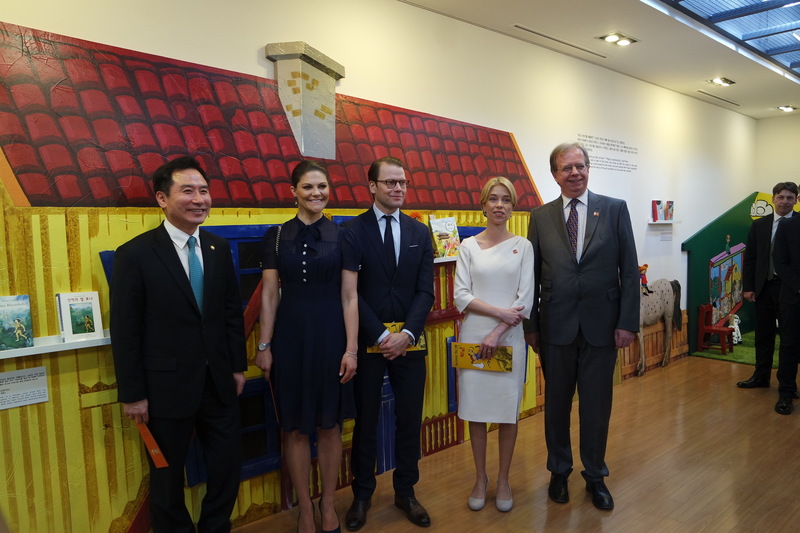 The Embassy of Sweden in Seoul holds the exhibition of <Astrid Lindgren and Pippi> at the National Library of Children and Young Adults on 26 Mar (Thu)- 31 May (Sun). 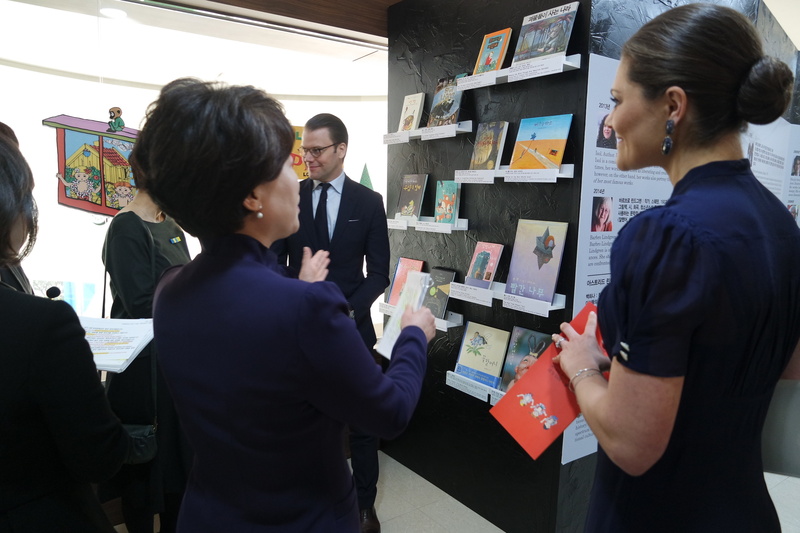 Co-organized by the National Library of Children and Young Adults, the exhibition is to give insights about the Swedish children’s literature to the Korean children and young adults. 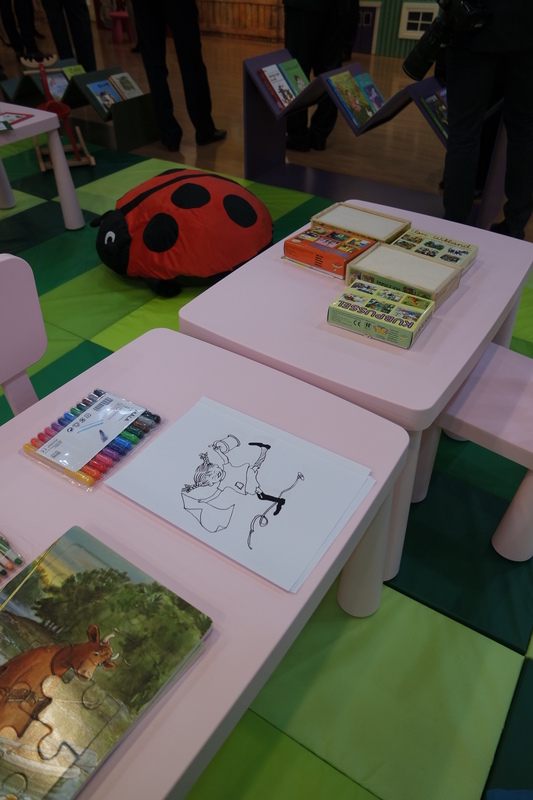 The exhibition comprises introduction of the life of Astrid Lindgren, Lindgren’s famous stories, Astrid Lindgren Memorial Award and previous laureates of Astrid Lindgren Memorial Award, and Children’s corner to play and read. 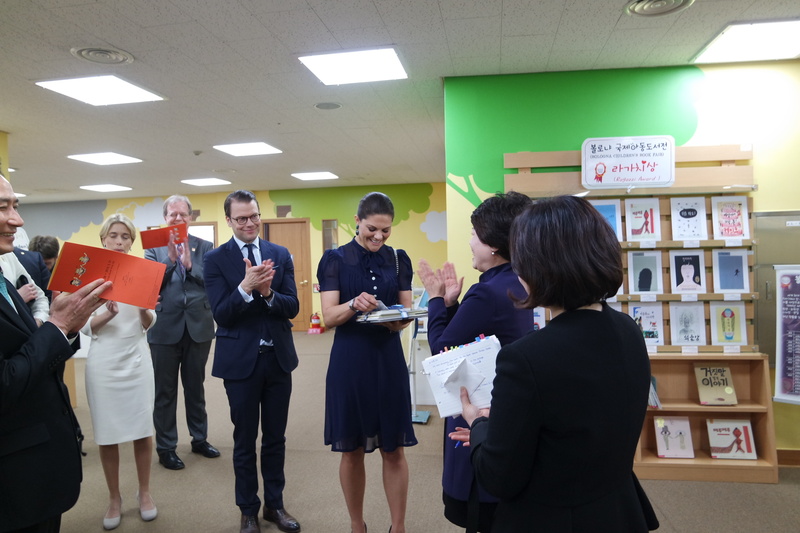 Today, the Crown Princess Victoria and Prince Daniel of Sweden paid a visit to the library to inaugurate the exhibition during her official visit to the Republic of Korea at the invitation by the Prime Minister Lee Wan-koo. Accompanying the Crown Princess Couple is the Swedish Minister for Social Security, Ms Annika Strandhäll and a small delegation of senior officials. The opening ceremony took place with the existence of Mr PARK Min-kwon (Vice Minister for Culture, Sports and Tourism), Mr LIM Won-sun (Chief Executive of the National Library of Korea), Ms YEO Wee-sook (Director General of the National Library for Children and Young Adults), Ms KIM Su-jung, President of Korean Board on Books for Young People (KBBY), Ms BAEK Heena (Children’s book writer and ALMA nominee 2015) and many more VIP guests. The participating guests celebrate the opening and the 70th birthday of Pippi who is well known character among Koreans through TV series. 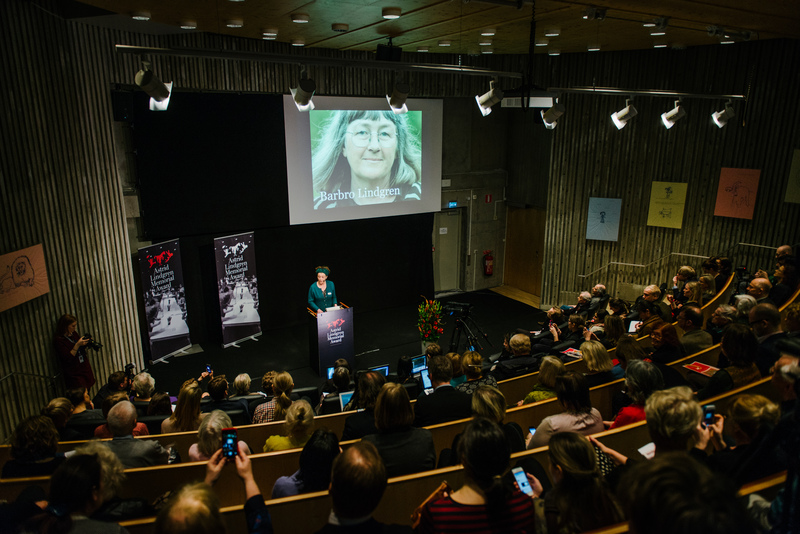 The City Library in Lund will broadcast the Announcement of this year’s Laureate at the library on March 31 along with a mingle for the public and discussion on the new Laureate. Why not arrange something similar at your library? The announcement will be broadcast LIVE on www.alma.se/en on March 31 starting 12:50 pm CET! Today the Astrid Lindgren Memorial Award publish a teacher’s guide to Barbro Lindgren’s books Jättehemligt (Super Secret, 1971), Världshemligt (Top Secret, 1972) and Bladen brinner (Pages on Fire, 1973). The teacher’s guide is written by researcher and jury member Maria Lassén-Seger. – The guide is for anyone who wants to know more about the books and would like tips on how to introduce them to young readers, says Maria Lassén-Seger. I hope it will encourage people to read, reflect on, and discuss the books. The Secret books are fictional diaries inspired by Barbro Lindgren’s memories of her own childhood and teenage years, even though she notes that not quite everything in the books is true. The trilogy includes the young Barbro’s diary entries from ages 10 to 15, in which she records her innermost thoughts about things that are nice, awful, or just plain weird. The teacher’s guide poses questions to the reader about the books, questions that allow the reader to get under the surface of the story to deepen the reading: What things do people expect of Barbro as a girl? Are they the same things people expect of girls today? It is hard for Barbro to fit in and be a part of larger groups. What groups does she try to fit into? Why do you think this is hard for her? – The Secret books were among my most important reading experiences when I was young, says Maria Lassén-Seger. I have reread them often over the years and I am amazed at how powerful they still are. They are so heartfelt, so honest, and so devastatingly well-written. – But especially young people who think life can be both nice and awful, and who wonder if anyone else in the world feels the same way. The Award office has previously published 14 reading guides by 11 laureates. All of them can be downloaded for free here. Link to the new Reading guide here. I joined IBBY the moment I began my career as an author. IBBY (International Board on Books for Young People) has taught me that the horizon lies beyond the borders of my own country. As the newly‐elected president of IBBY International, it is a privilege for me to work with people worldwide to realize the mission of IBBY. This mission is to promote a reading culture and give every child the opportunity to become a life‐long reader and this is only possible if the child enjoys reading. One of our objectives is battling illiteracy. A recent UN‐report states that globally, there are still 781 million adults who lack basic literacy skills, and that 58 million children are out‐of-school at primary level and a staggering 63 million children do not attend at secondary level education. Furthermore, an estimated 250 million children of primary‐school age are reported to be failing to acquire basic literacy skills. Added to that, half a billion women today are still completely illiterate. These figures really are cause for concern. The closing of libraries in Europe, often because of financial cutbacks, is also a cause of deep worry. In many parts of Bolivia, families have no books and there is no culture of reading. IBBY Bolivia, together with Taller De Experiencias Pedagogicas and the Thuruchapitas Library, began a project in the San Miguel neighbourhood of Cochabamba to encourage reading and storytelling within families. IBBY Afghanistan set up a library project to give young children a chance to read and increase their interest in reading books. The project is currently running in different provinces of Afghanistan with the support of Aschiana. The children living in refugee camps, orphanages, juvenile rehabilitation centres and different disability centres will benefit from this far‐reaching Project. In response to the waves of refugees from Africa and the Middle East arriving on the Italian island of Lampedusa, IBBY and IBBY Italy launched the project “Silent Books, from the world to Lampedusa and back”. The project involved creating the first library on Lampedusa to be used by local and immigrant children. The aim of this Flemish IBBY project is to select excellent books from all over the world that allows migrant children to share something about themselves, their culture and their background with their school colleagues. Thus opening the eyes of all the children in the school class to the value of a multicultural society. As a world organization, we have to keep arguing that reading is a basic right for everyone. Recently, a librarian told me that we are creating a new elite, by which he meant that children who enjoy reading and devouring books could only do so because their parents have the means to buy books. IBBY must continue to advocate for all children to have access to great literature; this includes children from underprivileged families, immigrant children, refugees, children with disabilities and sick children. Those who cannot (or may not) read are excluded. This is something that IBBY cannot accept. At the 2012 Membership Assembly, IBBY members approved of a formal commitment to the principles of the International Convention on the Rights of the Child as ratified by the United Nations in 1990, to be included in the current IBBY Statutes. Because of that action it is our responsibility uphold these rights. It is unacceptable that there are countries in this day and age where girls are banned from reading or even learning to read. It is also inacceptable that many children are unable to read at an adequate level after finishing primary school. I would like to forge new ties with institutions and other international organizations such as the ALMA. After all, Astrid Lindgren was one of the founding members of IBBY and supported IBBY’s mission always. On a personal level, I learned to love Sweden and the Swedish language because of her books and the television series based on her stories. ALMA and IBBY are fighting for the same values and we are exploring ways in which we can collaborate to bring children and books together.